“One of them, realizing he had been healed, returned, glorifying God in a loud voice” (Luke 17:15). Jesus always responds to prayers made in faith. The faith of the ten lepers brought them a miraculous cure, but the faith of one brought him back to the feet of Jesus, where he learned that his conviction had brought him something even greater – salvation,“Stand up and go; your faith has saved you” (Luke 17:19). All things are possible with God, but only in faith can we accept the mystery of His power the way the lone leper did when he returned to thank Jesus. One would expect such a reaction from a leper whose lesions suddenly disappeared, but it didn’t happen that way for the other nine. And it doesn’t always happen that way for us, even though the miracles in our own lives go beyond physical healings every day! God has pity on us every time we ask, not just when His answer is visible like the lepers. 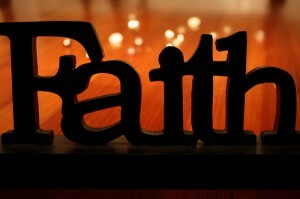 Trusting in this is the miracle of faith, and in its fullness we find salvation.